Mario vs. pêssego vs. yoshi vs. luigi vs. toad. 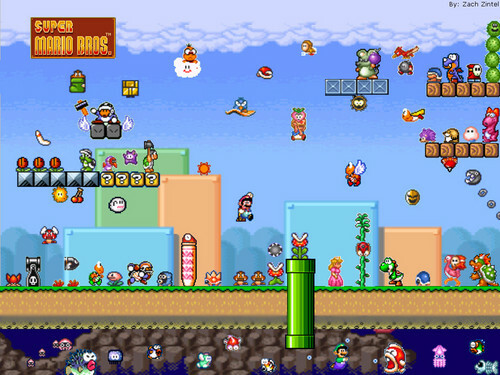 Mario is in a world with peach, luigi, toad, yoshi, & bad guy's!!!!!. HD Wallpaper and background images in the super mario bros club tagged: mario nintendo super mario brothers super mario bros super.